Gnumeric is a spreadsheet program that is part of the GNOME Software Desktop Project. 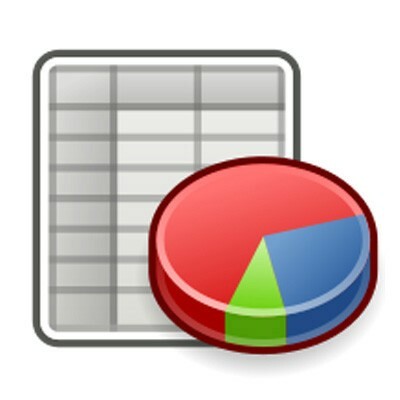 Gnumeric is distributed as software under the GNU GPL license; it is intended to replace proprietary and other spreadsheet programs such as Microsoft Excel. Gnumeric has the ability to import and export data in several file formats, including CSV, Microsoft Excel , Microsoft Works spreadsheets (*.wks), HTML, LaTeX, Lotus 1-2-3, OpenDocument and Quattro Pro; its native format is the Gnumeric file format (.gnm or .gnumeric), an XML file compressed with gzip. Gnumeric's accuracy has helped it to establish a niche for statistical analysis and other scientific tasks.